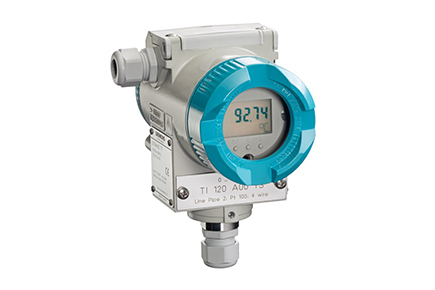 The Sitrans TF Temperature Transmitter is used where other transmitters can’t cope. One main point is its rating of IP67. Sitrans TF is made of rugged die cast aluminium or long-lasting stainless steel. It transforms resistance thermometers, thermocouples, Ohm and mV signals into a load independent DC current corresponding to sensor characteristic or a digital signal according Fieldbus standard Profibus PA or Foundation Fieldbus. The remote mounted sensor prevents the transmitter heating up at high temperature; there are no vibrations and oscillations due to long neck tubes and protective pipes with Sitrans TF. For tags with difficult access to you can mount your Sitrans TF remotely at easily accessible places and display the measured value on the freely programmable digital display (with version 4 to 20 mA).